They’re back! Get out your dancing shoes, and get ready for Kim Sanders & Friends in Gypsy Party mode at Camelot on Friday July 7. There will be bent Romany (Gypsy)- style brass-band grooves, Persian reggae, Kurdish pulsations, ska, Sth African township jive and all kinds of weird originals. At all times, rhythm is king! 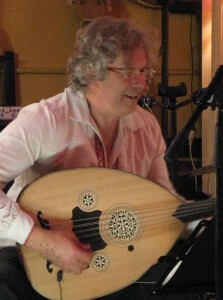 Kim Sanders has studied, recorded and performed in Turkey, the Balkans, West Africa, China and Indonesia. He has grooved with the Roma (Gypsies) in the Balkans and Turkey. He is the first Australian to have a Turkish Classical composition published in Turkey. In Australia he has performed with musicians from every continent except Antarctica – even with Normie Rowe at Penrith Leagues! Now that’s street cred! Another Australian World Music pioneer, Llew Kiek,has recorded 10 albums and performed in 20 countries with ARIA-winning folk-jazz group Mara! 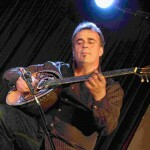 He was Australian World Music Instrumentalist of the year in 1999. Llew and Kim have been playing in each other’s bands since 1983. Sam Golding performs in many musical settings from Senegalese mbalax through traditional music from the Balkans, jazz small groups, reggae and cabaret. 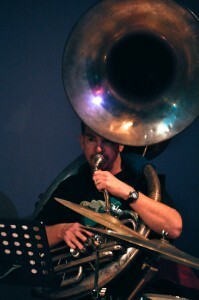 He is currently working with Darth Vegas, The Glorious Sousaphonics, The Fantastic Terrific Munkle and that ain’t all. Kurdish Iranian Mustafa Karami was declared Best Dhaf Player in Iran at the Festival of Dhaf in 2005/6/7. He also sings and plays oud. 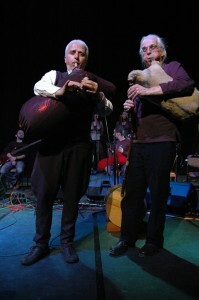 Mustafa has performed throughout Iran with ensembles such as Madakto, Javidan, Bamdad and Salmak. Peter Kennard is another peripatetic world music pioneer. Colombia, India, Ireland, Mexico, Japan, Venezuela, Ghana, Samoa…You name it, Peter has been there. 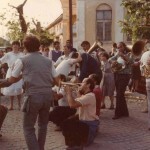 He was also in Kim’s legendary Romani-style brass/ jazz band Brassov ( a band ahead of its time). Mustafa and Peter together drum up a storm. Be early or book online! Fully licenced. Pizzas, mezzes, snacks and sorbets available. Kim died in November 2013. His music lives on in the memories of those who loved him, those who played music with him, and those who listened. Some of his knowledge has been passed on through his charts and this website. for details, and read more about him and his work in the following pages. One time cane-cutter, meatworks labourer and documentary film researcher, World Music pioneer Kim Sanders has steamed up the coast of Sumatra in a tramp steamer full of rubber, survived border crossings with Georgian gun runners and been arrested for spying by a Macedonian Brezhnev lookalike. He has played on national radio in Bulgaria and national TV in Indonesia, with Gypsy wedding bands in Macedonia, in mosquito-ridden clubs in Gambia, tavernas in Greece, tea-houses in China and concert-halls from the Ataturk Cultural Centre in Istanbul to the Sydney Opera House. 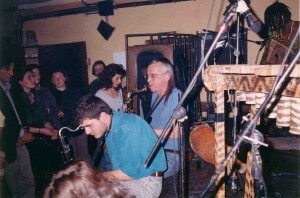 In ’84/5 Kim spent eighteen months studying and performing in the Balkans, Turkey and Gambia and Senegal in West Africa where he played with the Libidorr Band. In ’93/4 he returned to Turkey and the Balkans and performed with Turkish/Greek group Phanari tis Anatolis (aka Bosphoros or Anadolu Fener), Zimbabwean mbira-player Stella Chiweshe and musicians from the Filip Koutev (Bulgarian State) Ensemble. He performed solo on Radio Sofia and recorded with Phanari tis Anatolis and Turkish singer Oguz Yilmaz. 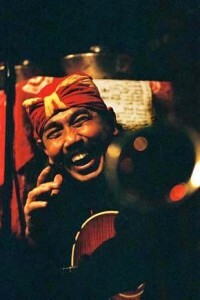 In ’96 he toured Indonesia with Sawung Jabo’s innovative music/dance production Bayang-Bayang and returned to Indonesia in 00 and 03 with Indonesian-World group GengGong, in 05 and 07 with Trio Dingo and in 06, 07 and 12 as soloist. He has recorded in Indonesia with GengGong and singers Setiawan Djodi and Oppie Andaresta. In ’00/01 Kim returned to Turkey to continue his studies in Turkish Classical, Sufi, Gypsy and folk music. He performed with Laz musician Birol Topaloglu and with the Turkish Ministry for Culture’s Istanbul State Modern Folk Music Ensemble. He was the subject of a short documentary on Turkish television. 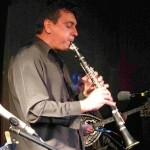 He returned to Turkey in 07/08 and studied with ney master Ahmet Kaya and Gypsy clarinetist Selim Sesler. 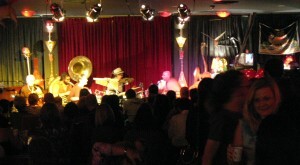 Amongst others he performed with percussionist Okay Temiz and with the Turkish incarnation of Kim Sanders & Friends. 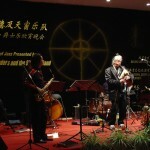 In 04 he performed in Beijing as a soloist and worked with pioneering Chinese World-Jazz ensemble Tianchuang. In Australia Kim was co-leader (with Linsey Pollak) of Australia’s first World-Jazz band (Rabadaki, 79) and has since played with musicians from every continent except Antarctica (including Flamenco Dreaming, Nakisa, Okapi Guitar Band, Seaweed & Wire, Chichitote, Davood Tabrizi, Descendance and Balcano). He performed with Zülfü Livaneli and Fatih Kisaparmak (Turkey), Bahar (Iran) and the Bisserov Sisters (Bulgaria) on their Australian tours. In the 90s he lead legendary “Gypsy-Afro- World” band Brassov and worked with Bulgarian folk singer Silvia Entcheva in the Silvia Entcheva Trio. He also performed in Australia with GengGong and led various ensembles featuring musicians including Indian tabla master Bobby Singh, Macedonian clarinettist Bobby Dimitrievski, Greek singer/bouzouki-player George Doukas and jazz masters Sandy Evans and Toby Hall. Kim plays Macedonian, Turkish and Bulgarian gaidas (bagpipes), aardvark (Australian-Turkish- Bulgarian bass bagpipe); Bulgarian and Turkish kavals (long wooden flutes), saluang (Sumatran flute), furulya (Hungarian flute) and ney (Dervish flute); mey, duduk, guanzi (Turkish, Armenian, Chinese double reed instruments); zurna (Turkish/Balkan shawm); tenor sax; tin whistle; davul (dauli, tapan)(drum) and small percussion. He also arranges ensembles for special events, and composes music for films and stage productions. Kim also teaches gaida, kaval, mey, ney, duduk and theory. Because of the spam deluge, “Comments” have been disabled for this website. 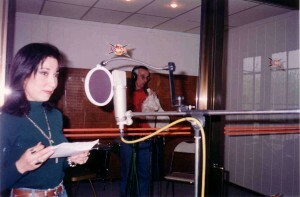 If you would like to comment on any aspect of Kim’s musical activities you can do so by email (kimzgaida@hotmail.com) or on the “Kim Sanders World Music” page on Facebook (http://www.facebook.com/pages/Kim-Sanders-World-Music/131697043563700?sk=info ). Bobby Singh’s talent was recognised at an early age by Pandit Nikhil Ghosh, and became a student of his senior disciple Aneesh Pradhan, who remains his guru. 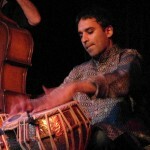 Bobby is now a “must see” performer on the world music circuit as well as the Indian Classical scene. He has performed with Ashok Roy, Slava Grigoriyan, Joseph Tawadross and many cross-cultural ensembles including Flamenco Dreaming and The Bird. 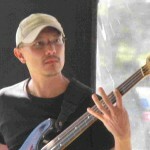 He currently works with Circle of Rhythm and Dha, amongst others. Australian-born Macedonian clarinettist/saxophonist Blagojce (Bobby) Dimitrevski has degrees from the Sydney Conservatorium of Music but has also learned the old-fashioned way from his father Ivan. 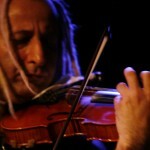 He has performed extensively in the Macedonian scene in Australia, with Balkan folk/jazz ensemble Mara! and with Nadya and the 101 Candles Orchestra. He can blister the paint off the walls. 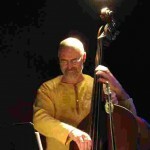 Double-bassist Steve Elphick has been for many years regarded as one of Australia’s most creative improvising musicians. He has made many overseas tours with folk-jazz group Mara! and played with jazz greats including Lee Konitz and Steve Lacey. In Australia he has performed and recorded extensively with cutting-edge improvising bands including The World According to James, The Andrew Robson Trio, Ten Part Invention, Bernie McGann Trio and The Umbrellas. Another Australian World Music pioneer, Llew Kiek (bouzouki, bağlama, guitar, tambura, keyboards) has recorded 10 albums and performed in 20 countries with ARIA-winning folk-jazz group Mara! In Australia he has worked with The Bisserov Sisters, Tenzing Tsewang, Silvia Entcheva, Martenitsa, Nakisa, the Renaissance Players, Meryl Tankard Australian Dance Theatre and singers Jeannie Lewis and Margret RoadKnight. 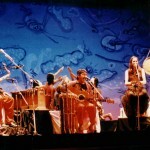 Australian World Music Instrumentalist of the year 1999. Saxophonist, composer and three-time ARIA-winner Sandy Evans is one of Australia’s leading performers in improvised music. 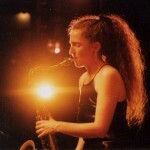 She has played and recorded extensively in Australia and overseas the own Sandy Evans Trio, Clarion Fracture Zone, The catholics, austraLYSIS, the Australian Art Orchestra, MARA!, Bernie McGann, Waratah and many visiting American artists. Named Australian Jazz Artist of the Year at the 2003 Bells Awards. She is also heavily involved with Southern Indian Classical music. Singer, composer and master of the bouzouki, baglama, tzouras and guitar, George Doukas has performed with such Greek luminaries as Sakellariou, Doukissa and Floriniotis as well as a multitude of local Greek artists. He was musical co-director for internationally-screened Concert 2000. In recent years he has has been involved in several exciting collaborations with musicians from a variety cultures, as in his own band Balcano. 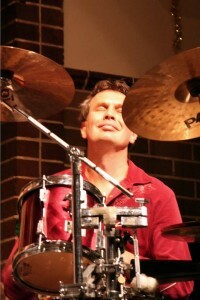 Drummer Toby Hall has played and recorded with outstanding Australian improvisers including Mike Nock, Lloyd Swanton, Bernie McGann, Alister Spence and Sandy Evans as well as leading his own groups. 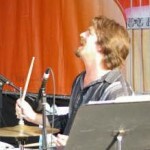 He has also played with many visiting performers including jazz vocal legend Sheila Jordan. Montreal Jazz Festival, North Sea Jazz Festival, New York’s famous Knitting Factory – Toby’s been there, done that. 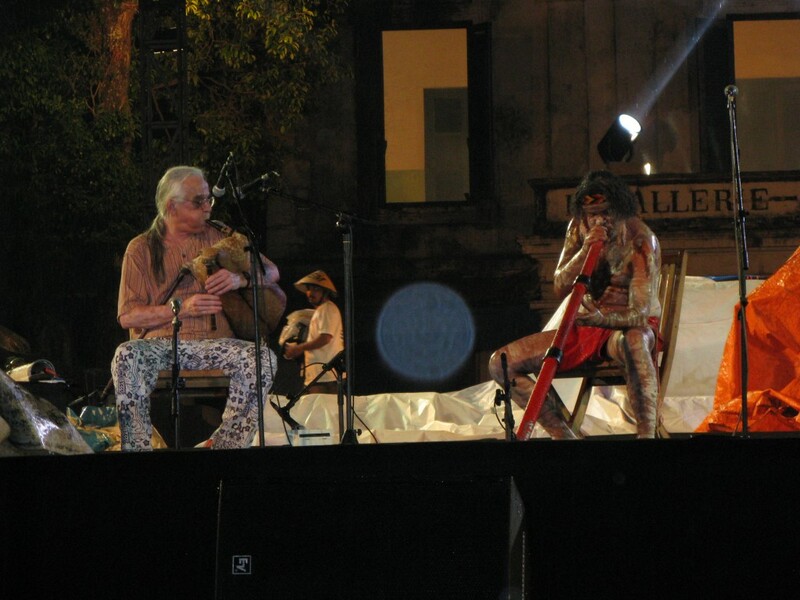 Reformed rock star, dancer, singer, multi-instrumentalist, composer, choreographer, actor, producer and social activist Sawung Jabo is well-versed in traditional Indonesian music and dance as well as contemporary forms. He is highly respected for the energy, beauty and passion of his words and music. He has released twelve top-selling albums in Indonesia, and performed in Japan, Korea and the US. 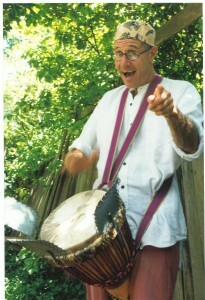 Multi-instrumentalist Blair Greenberg has played guitar, steel drums, djembe, didgeridoo, marimba, darabukka and all kinds of percussion (not to mention electric neck) in many countries with Trio Dingo, Epizo Bangoura’s African Express, Muhammad Bangoura, Pape Mbaye, Zulya Kamalova, Christine Anu, The Flying Fruitfly Circus, the Electra String Quartet, Jeannie Lewis and the very strange Paranormal Music Society. Davood Tabrizi studied percussion and Persian string instruments at Tehran Conservatorium and the Uni of Tehran before coming to Australia in 1979. He has performed in many pioneering cross-cultural bands including Tansey’s Fancy and Nakisa, toured America with his own group Far Seas, and has written award-winning scores for theatre productions and films including The Navigator and Serenades. 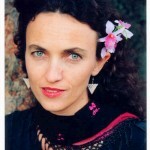 Singer Linda Marr is one of the world music and a cappella scene’s most respected and talented personalities. Acknowledged as a pioneer in bringing world music to a wider audience in Australia, Linda has appeared on more than 20 CDs and toured extensively in Australia and overseas. 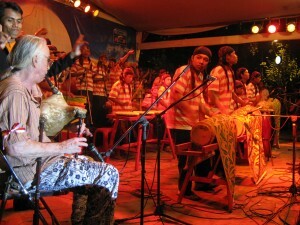 A founding member of Musica Linda, Blindman’s Holiday and Keklik Aile, Linda has also performed with Tokakros, Cumana and with Kim in Nakisa. Singapore born percussionist Tony Lewis has collaborated with leading musicians from many cultures, including Aboriginal dancer/musician Matthew Doyle, koto-player Satsuki Odamura, harmonic singer David Hykes and sitarist Raj Kumar Sharma. 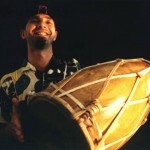 He has also worked with Southern Crossings, Aboriginal Islander Dance Theatre, Nakisa, Waratah and Dhamor Percussion. 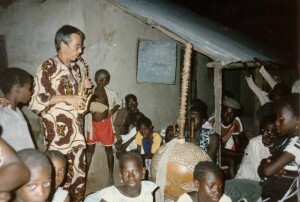 He has studied and performed in Africa, Asia and the Pacific. Peter Kennard has studied drumming in West Africa and performed overseas with Colin Offord’s Great Bowing Company, the Turkish State Theatre, Stalker Theatre Company, Sirocco andCathie O’Sullivan. In Australia he has played with sarod virtuoso Ashok Roy, Lulo Reinhardt, Moussa Diyakite, the Flying Fruitfly Circus, Chai Chang Ning, Flamenco Dreaming, Heval and Brassov. Percussionist Ron Reeves lived and studied for many years in Indonesia, and specialises in traditional instruments from West Java and South India. In a long and varied career he has played with the Trilok Gurtu, Sydney Symphony Orchestra, Nigeria’s Lebe Olarinjo Masqueraders, the Karnataka College of Percussion, Billy Cobham, Hossam Ramzy, heavy plastic band AC/PVC and with Kim in GengGong and Trio Dingo. He leads Indonesian-based groups Warogus and Earth Music. Enigmatic Kiwi Boyd is the composer of the Martian National Anthem. He also plays bass and baritone saxophones with intergalactic intensity. He has performed with Mic Conway’s National Junk Band, Jackie Orszcaszki’s Budget Orchestra, Brassov and The Monday Club. The only member of Kim Sanders & Friends weighing less than his instrument, he is a genuine saxophone heavyweight. 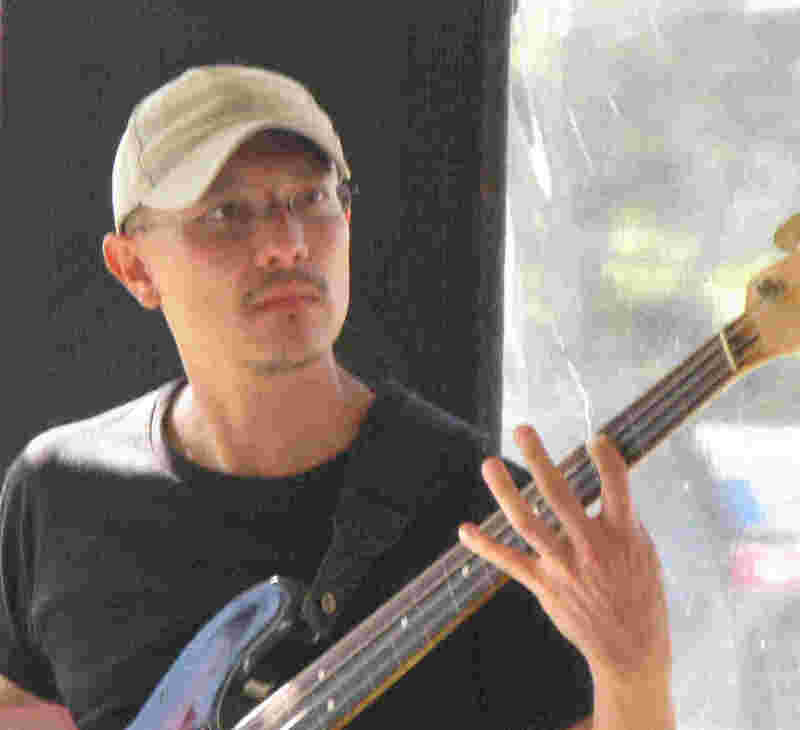 Hong Kong born Mark Szeto plays double bass and fretless electric bass in a variety of styles. He has performed with Monsieur Camembert, the Sydney Opera House Orchestra and Sydney Chamber Orchestra. His own band, Low Flying Hippies, released their debut CD Adventure Before Dementia in 2009. 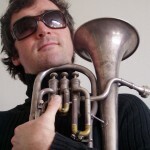 Multi-instrumentalist Sam Golding (trumpet, tenor horn, trombone, sousaphone, flutes, ukelele) performs in many musical settings from Senegalese Mbalax through traditional music from the Balkans, jazz small groups, reggae and cabaret. He is currently working hard with the bands Darth Vegas, The Glorious Sousaphonics, The Fantastic Terrific Munkle, Teranga, Tango Saloon and The Mango Balloon. 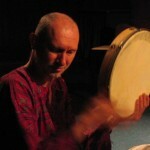 Kurdish Iranian Mustafa Karami studied dhaf (traditional frame drum) at Karkars Music College in Tehran and is now recognised as a master of the instrument. He was declared Best Dhaf Player in Iran at the Festival of Dhaf in 2005,6,7. He also sings and plays oud. Mustafa has performed throughout Iran with ensembles such as Madakto, Javidan, Bamdad and Salmak. In Australia he has performed with Kim in Davood Tabrizi’s Far Seas. 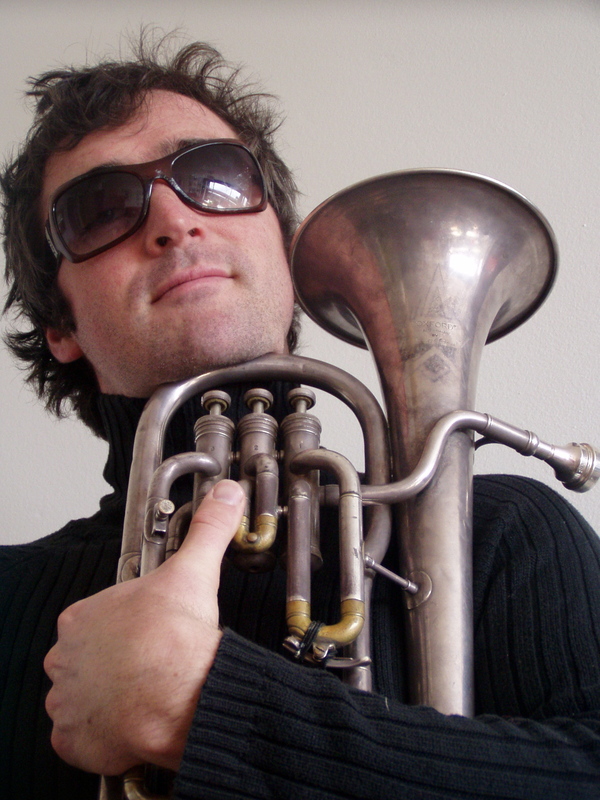 One of Australia’s leading improvising musicians, James Greening has been widely praised for his work on trombone, pocket trumpet, sousaphone and bass with Ten Part Invention, Wanderlust, The catholics, The Umbrellas, The Australian Art Orchestra, Ruby Hunter and Archie Roach, the Sruthi Laya Ensemble, Matthew Doyle and various strange ensembles led by the late, great Jackie Orszaczky. He leads his own band The World According to James. Contact us for information, and purchases.